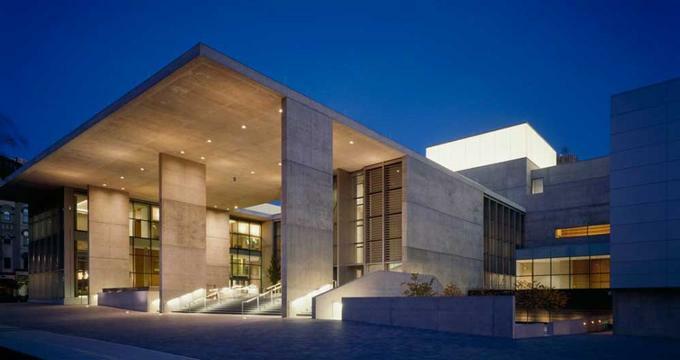 The Grand Rapids Art Museum (GRAM) is centrally located in downtown Grand Rapids, Michigan, next to Maya Lin’s Ecliptic and Rosa Parks Circle. On Tuesdays, and on Thursdays from 5pm - 9pm, GRAM’s general admission is free, care of Meijer Free Tuesdays. GRAM Selects ArtPrize Seven: Encore is showing some exceptional pieces, which have been exhibited during the annual art competition. Museum curators have chosen pieces shown originally in ArtPrize venues to be associated with this ArtPrize experience at GRAM. Selected for their resonance with the museum’s collection and artistic strength, these pieces from ArtPrize Seven are being shown among works in GRAM’s collection covering the centuries, on each of the museum’s three floors. Showing contemporary pieces alongside GRAM’s permanent collection encourages guests to see the connections between them. During the twentieth century, there was significant change in furniture production and design. Typically darker, heavier and more ornamental, furniture for the home evolved into the more practical and simpler, with the goal of satisfying the desires of the typical American family. Post World War II mass production and distribution was enabled and designers of twentieth century furniture pushed past the limits of these new technologies. New manufacturing processes were utilized and materials like plastic, laminate, and molded plywood were incorporated into designs. These designs have indeed become works of art in their own right. GRAM’s incredible modern furniture collection includes pieces by Sol LeWitt, Charles and Ray Eames, Marcel Breuer, Frank Ghery, and others. Maureen Nollette’s art explores the meaning and beauty of grid systems, repetitive patterns, and their place within traditional textile crafts and modern art. She looks at the difference between the pattern of textile crafts, such as quilts, which have been dismissed throughout history as merely the work of women and the geometric grid as seen in modernist art. Though the artist’s work comments on the tradition of textile crafts, she also puts to use materials found in homes like contact paper, paper, and others. The artist’s with/without installation is composed of chevrons in rows in a decorative pattern that span a large area of a window. The visitor’s range of vision is obstructed or influenced by the pervasive shapes, allowing the observer to see the chevrons, or look past the chevrons. An angled shape that connotes a house roof, the chevron, is an honorable ordinary that symbolizes protection. The Collection in Context has brought together the best pieces in the museum’s permanent collection with loans from exclusive private collections and the Whitney Museum of American Art. These works are rarely seen in public. The Collection in Context includes such treasures as the museum’s new acquisitions and works of art not seen here before, such as Jun Kaneko’s Large Dango and Andy Warhol’s Marilyn Monroe. These will be featured in addition to pieces by Alexander Calder, Richard Diebenkorn, Mary Cassatt, Paul Gauguin, and others. Vital temporary loans like prints by Elizabeth Catlett, photography by Cindy Sherman, and new work from Anila Quayyum Agha complete the exhibition. The Evolving Landscape presents works and paintings on paper that convey “our” relationship with the natural world the way we convey art in this world. Faith and Its Symbols includes the symbols and icons of the world’s major faiths: Christianity, Buddhism, Islam, Hinduism, and Judaism. It is the intention of this grouping to show how faith is interconnected and allow insights into the cultures of the different faiths that produced the objects. Nature-based Abstraction shows painting and decorative objects inspired by nature, and sculpture. Representing Women features pieces of female subjects that disclose how our attitudes toward women over the past two centuries have been altered. James McNeill Whistler was born in 1834 and died in 1903, an unquestioned master of the nineteenth century. While he was born in America, he was largely considered an international artist, spending his childhood in Russia, the following years in Paris, and then moved into professional life in London. Early prints and paintings had their roots in European Realism, and he drew inspiration for his style of etching from seventeenth-century Dutch artists such as Rembrandt. Whistler eventually moved away from Realism, creating pastels, prints, and paintings, of landscapes and people, created more from poetic suggestiveness than accurate depictions. Whistler interacted with quite an array of other artists. He sketched outside with others and printed proofs with others in his studio. This particular exhibition centers on the artists who he worked with in this way: Frank Duveneck, Otto Bacher, Francis Seymour Haden, Mortimer Menpes, and Alphonse Legros, plus others who knew him such as Edgar Degas, Mary Cassatt, James Tissot, and Édouard Manet. Each of the featured prints in this exhibition was made during the lifetime of Whistler, giving the observer a unique perspective of his life and times. Photography has been instrumental in seeing ourselves and the world around us since its invention in the mid-nineteenth century. This exhibit comes completely from the museum’s permanent collection, and is titled Mirror Memory. The exhibit considers two hundred years of photographic landscapes, novelties, portraits, experimental works, featuring early daguerreotypes and tintypes, large-scale digital prints in bold color, plus classic black and white images. The work of several artists is represented. Among them: Julia Margaret Cameron, Berenice Abbott, Edward Steichen, and Robert Frank. Mirror Memory makes reference to the term “the mirror with a memory,” used at one time to describe how photography was able to “keep” an image indefinitely. In its embrace, we are all still moved by its powers. Later this year, GRAM’s 2016 ArtPrize exhibition, Past/Present/Future plans to include artists whose work will be showcased throughout Levels I and II of the museum, bringing together artists who create in a diverse range of media. Visitors may see dramatic moments in history, individuals or events memorialized, and an assessment of cultural conditions, for example. GRAM is one of downtown’s premier venues during this international art competition. Tear yourself away from the canvases, etchings, drawings and photographs of celebrated painters, artists, and photographers this fall and immerse yourself in the world of fashion at the GRAM with a concentrated look at the haute couture fashions of Iris van Herpen, Dutch fashion designer. van Herpen’s designs have adorned style icons such as Beyoncé, Lady Gaga, and Bjork and have graced the runways of London, Paris, and Amsterdam. Her fashions have won her international fortune, as she combines futuristic, innovative techniques with traditional craftsmanship. Her sculptural designs use materials that aren’t often found in the world of haute couture – namely boat rigging and umbrella ribs. Iris van Herpen: Transforming Fashion includes 45 outfits from van Herpen’s 2008 through 2015 collections. Van Herpen was born in Wamel, and is based primarily in Amsterdam. After her graduation from the ArtEZ Institute of the Arts in the Netherlands, she produced her first collection in 2007. She became a member of the Chambre Syndicale de Haute Couture in 2012. Her time is spent in her studio, among her global network of collaborators, and the international fashion stage. The museum is one of seven venues in North America for this exhibit. The Museum Store is where visitors may select from many art-inspired gifts for friends and family. There is an always-changing display of one-of-a-kind gifts, jewelry created by international and local artists, children’s toys, art books, decorative accessories, and fair trade items, plus more. Museum members receive a 10 percent discount. GRAM does not have a place for guests to buy food, but it does invite visitors to carry their own food right into the outdoor dining terrace – or indoors to the Member Lounge. Monroe Center and its environs offer a lovely choice of local cuisine and exemplary restaurants.